April 19, 2019 Comments Off on Rescue of a sick dog close to the U.S / Mexico border. April 13, 2019 Comments Off on An abandoned dog was hoping someone would call rescuers. April 11, 2019 Comments Off on This Dog Needs Your Help…. Best Dog Training Toledo, Ohio! 1 Year Old Doberman, Copper! January 12, 2019 Comments Off on Best Dog Training Toledo, Ohio! 1 Year Old Doberman, Copper! 1 Year Old German Shepherd Bella!| ObedienceTraining| 14 Day Transformation! March 2, 2019 Comments Off on 1 Year Old German Shepherd Bella!| ObedienceTraining| 14 Day Transformation! December 14, 2018 Comments Off on How To Calm Your Dog Down in Minutes! Breaking Now! 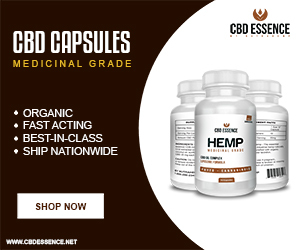 CBD Oil Proven To Help With Many Dog Health Issues!